Klein’s hopper is what people in the trade call “imitative,” as opposed to “suggestive.” That is to say, it looks exactly like a grasshopper, right down to the eyes and antennae. The things are eerie, and they catch fish. Klein ties them from unorthodox materials–surgical tubing and things like that–but they are not sneered at by insiders. To the contrary, they are prized, and prized very highly. One of the best rodmakers in the country traded Klein a cane rod, made to Klein’s specifications, for five of those hoppers. If you cold persuade him to take your order, he would charge you a thousand dollars or more for building a rod like that. When they decided to trade, Klein and the rodmaker asked other fly-fishermen to establish the terms. Three celebrated anglers studied the problem and then calculated what was fair. 132. The rodmaker mentioned by Norman is the late Gary Howells. His bamboo rods remain among the most acclaimed and obviously cost much more now than they did in 1982 (I see several listed for sale online at prices between two and three thousand dollars). 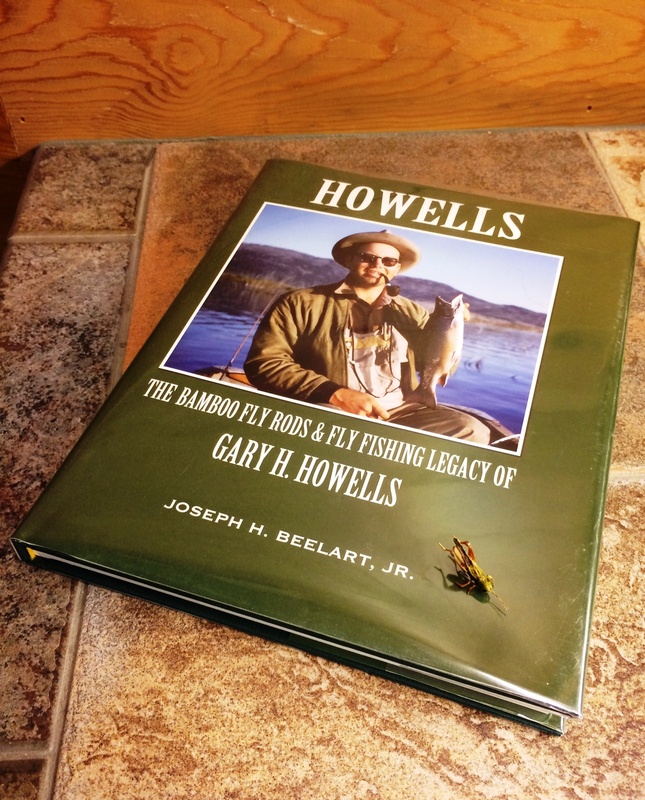 The famous trade is recounted in greater detail by Joseph Beelart, Jr., in his 2013 biography of Howells, titled “Howells: The Bamboo Fly Rods & Fly Fishing History of Gary H. Howells” (Whitefish Press). Dr. Klein achieved his renown when he lived in Idaho and fished the Henry’s Fork regularly. In 1976, he and his family moved to Helena, Montana. His youngest daughter began second grade that year a bit late. I joined that same class just days earlier, having recently moved with my family from Dillon, Montana. We have been close friends ever since, sharing similar paths in life, personal views, and so on. Dr. Klein’s daughter blessed me recently with the gift of a hopper tied by her father. 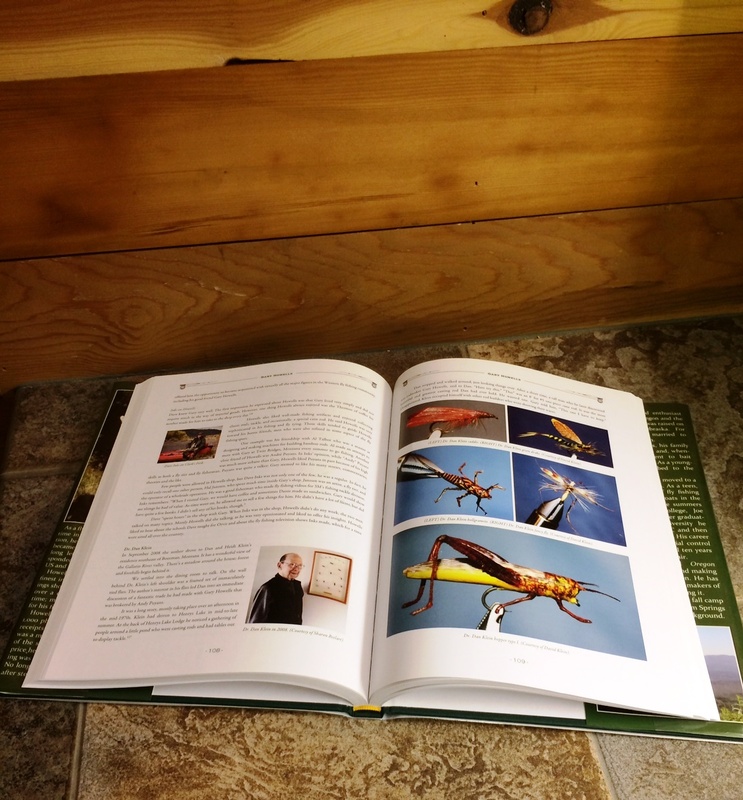 The personal connection–a connection I do not have with the other collectible Montana flies I own, such as those tied by the amazing Jack Boehme–makes the fly particularly special. Like Norman, however, and like Howells and many others, I also view the hopper as a genuine work of art. And I happen to believe we need more art in our lives right now, and the beauty art so often conveys, no matter how small and mundane that art may seem. Dr. Klein and his flies, as pictured in Beelart’s book. This entry was posted on November 15, 2016 at 7:51 AM and is filed under Fly Fishing Literature, Fly Fishing Tackle, The Arts. You can follow any responses to this entry through the RSS 2.0 feed. You can leave a response, or trackback from your own site.